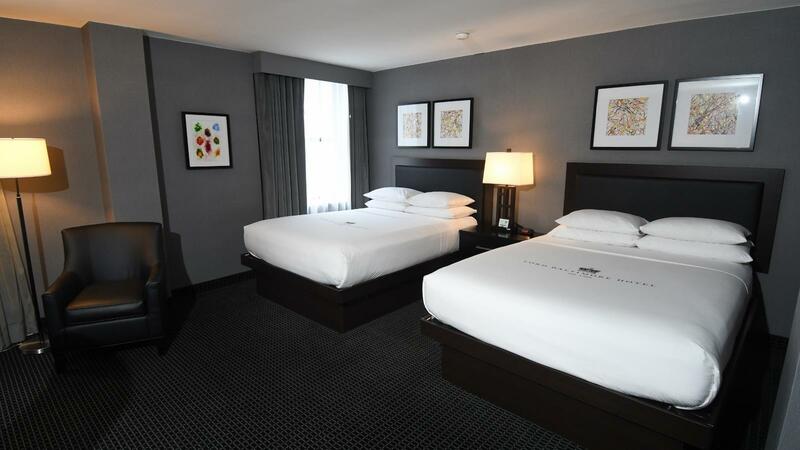 With two Queen beds, a well-lighted work space and all of the upgraded amenities used throughout the hotel, this room is a spacious 265 square feet / 24 meters. All accommodations include a 40” HD television and vanity area. Maximum occupancy is 4 guests. Located on hotel’s club floors (17th and 18th).